You may be without insurance when you start a new job, or find your health insurance does not cover as much as you expected. Whatever the reason, if you suffer an injury or illness that is not covered by insurance, you could find yourself in debt for thousands of dollars. Here are a few tips on how to get control of an unexpected medical bill. If possible, discuss financial matters with the hospital in advance of your medical procedure. They may be willing to provide reduced costs for your stay. The finance office may also be able to help you determine if you qualify for any government programs, such as Medicaid, that will cover some of the costs of your medical problem. Create a file specifically for medical bills and correspondence, so you can keep track of expenses and refer to the paperwork, when needed. This measure can help to avoid additional confusion over duplicate bills and requests for payment that continue to come in after they have been paid. When you receive your hospital bill, it’s easy to feel overwhelmed by the strange terminology and codes. However, if you take the time to understand the jargon, you will find it begins to make more sense. Incorrect dates for procedures and charges. Procedures that were scheduled, but were canceled or changed. Charges for items covered by insurance or government programs. Charges that seem excessively high. List all of your normal expenses and determine how much money you can put toward paying off the hospital expense on a monthly basis. You may need to find ways to trim costs in your household budget to free up money for this purpose. Look at entertainment expenses, costs for eating out, transportation costs, and other items that can be tightened to allow you the additional money for paying the bill. If your injury was due to a car accident or other injury, you may have to add the costs of a DUI lawyer or legal representation to your budget. Luckily a lot of firms like Fannin Litigation Group, P.S., Coeur d’Alene injury lawyers are willing work with clients to achieve something that works for both parties. Hospitals routinely work with patients to find practical ways to pay the costs of medical care. Be honest about your financial situation and work with them to find a practical method for paying your bill. They will often offer to cut the total bill if they feel you will be able to pay off a sizeable portion of the expense. Consider using a medical billing advocate to help you find a way to reduce your hospital bill to a more manageable amount. Medical billing advocates are knowledgeable about the particular laws in your state, and can find ways to reduce your bill for a fee. 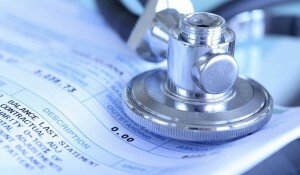 A bit of time and negotiation can help you to reduce expensive medical bills to a more manageable amount. Use these tips to help you pay off your hospital bills more easily.